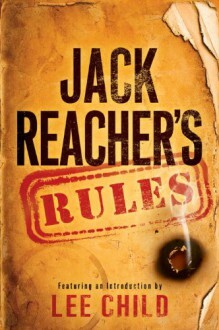 This irresistible guide to the world of the Reacher novels features timeless advice from Jack Reacher, the maverick former army cop, hero of Lee Child’s blockbuster thrillers, and now the star of a major motion picture. My name is Jack Reacher. No middle name, no address. I’ve got a rule: People mess with me at their own risk. You don’t have to break the rules if you make the rules. Case in point: Jack Reacher, the two-fisted, quick-witted, “current poster-boy of American crime fiction” (Los Angeles Times). The brainchild of #1 New York Times bestselling author Lee Child, Reacher is a freelance troubleshooter with a mysterious past—and a serious passion for justice. Now the hard-won knowledge and hard-hitting strategies of fiction’s toughest tough guy are within every thriller reader’s reach—in a rapid-fire rundown of the trade secrets, tried-and-true tricks, and time-honored tactics that separate the man in the street from the man to beat. Rule 1. When in doubt, drink coffee. Rule 2. Never volunteer for anything. Rule 3. Don’t break the furniture. Rule 4. Only one woman at a time. Rule 5. Show them what they’re messing with.